Local government in SLO County has become a corrupt bunch of self-serving bullies and thugs. It is not limited to SLO County. Read the Sacramento Bee or the LA Times on a regular basis and you will understand that SLO County is not alone. This is the new government. Never thought I would see the day when the people of the U.S. America become the enemy of its government. Very sad! “Trading With The Enemy Act” and its amendments clearly state that Citizens will be considered enemy’s of the United States during periods of national emergency or war. Its funny how different rules apply to different people. A Social Worker was once asked what the level of cleanliness in a home had to drop before intervention was taken. The answer was… when dog poop in the house had mold on it. I am sure the lawyers will have a great deal to say about what happened and I hope the county just does the right thing before this happens. In addition, I would also consider adding to the suit all those who had a hand in this. Thanks Tim! Every little bit helps in a situation such as this. The odds just increased as to an investigation by state authorities. Hopefully more politicians will see that the people want an investigation and political pressure is the best way to make that happen. I would for you just for this letter if I resided in your district. 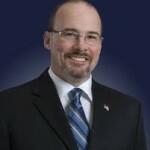 tim donnelly: the tea party guy who tried to board a plane with a loaded handgun in his carry-on. dude is a laughingstock. let’s be careful about hitching our wagons to this guy. I see CWS & CAPSLO are here. Whom would you rather we hitch our wagons to? Senator Feinstien? who secretly worked to get husband’s company sole right to sell surplus postal properties worth millions in commissions, or our governor’s bullet train, that isn’t a bullet train? I’d rather support a law abiding citizen who accidentally tired to board a plane with a legal handgun. Ergo his specific argument on this issue is, point by point, thoroughly refuted! Tea Party, Socialist Party, forgot about the handgun, or forgot about the joint, it does not matter for the purposes of his opinion article. But it does for YOUR purpose of discrediting his argument. That purpose I would like to know, but will be left to surmise based on pretty obvious prima fascia evidence. K-nut’s reply was a lazy ad hominem attack on the messenger. He didn’t refute Donnelly’s opinion. He attacked Donnelly. WOW. Thank You Assemblyman Donnelly. You have my vote and I’ll campaign for you. We need representatives like you. Betcha they are circling the wagons and Lawyering up! There needs to be personal ramifications for these bureaucrats at CPS, etal, who use their Official positions to settle their butthurt. I am glad to see the assemblyman has taken notice. APS is about as bad as the county Public Guardians office. excuse me APS, CPS,all a bunch of USELESS LAZY entitled county employees…..most that are just sticking around to get their pensions and could care less about anything else. Let alone actually helping someone. They go through the motions waiting for 5PM to roll around. With all due respect, no judicial branch or local government office reports to the State Assembly. The Assembly has none of the fact and probably is prohibited from access to the file due to the confidential nature of the event. He is mistaken in that criminal wrongdoing is not neccessary to remove a child from a home, he is unaware of the facts without the ability to review the file and is drastically overstepping his authority in calling for anything. It is Donnelly who has headed up the investigation all over this state into CPS over stepping their authority. Have a read on what he accomplished down in Orange County. Yes he was able to compel CPS to answer the questions. There is one family who were wronged to a lesser degree than that of Powers & Velie. A lawsuit netted that family a few million after Donnelly was finished publicly tearing OCCPS to threads. He may not have access to the information from child welfare, but he can certainly be provided the court report with all the detais of the case from the parent. I highly doubt that letter would have been sent without any facts. Now finally a politician I’d actually be happy to vote for.